What is your household income? I saw one survey recently that the average American household has a median income of $46,326. Since this is a median income, it means that half of American households have less than that $46,326. If your household income is less than that or if it’s as low as $30,000 a year, could you live debt-free? The simple answer to this is “yes” but it requires some careful planning. Here are 11 tips that could help. 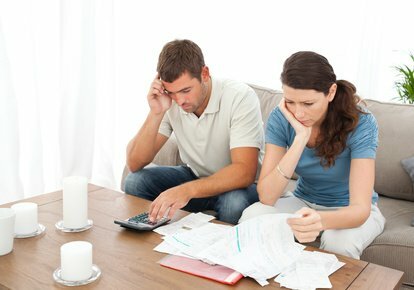 There is just no way around the fact that if you’re living on $30,000 a year or even that $46,326, you need to have a budget. The easiest way to do this is to have a spreadsheet with your monthly income versus your expenses. You will need to update this weekly along with your check register and make sure that your register balances. As difficult as it might be, you have to stick to your budget without exception. In order for this to work you have to look at your financial picture and be honest about it no matter how bad it might be. If you want to stay out of debt you have to make a commitment and stick to it. The fastest way to get into trouble with debt is to live beyond your means. No matter how tempting it might be to buy that fancy, new car or that 50-inch HDTV you just have to resist the temptation. Instead of buying new clothes, you might have to learn to do your clothes shopping at Walmart, Target or even from a thrift store. I have a friend who’s driven his Jeep Grand Cherokee nearly 200,000 miles so just because your odometer is turning 100,000 doesn’t mean you need to trade in your car. There’s a very simple way to stay out of debt. It’s to pay cash for everything. Here’s a video about a family who does just that. Even if you’re on a very tight budget, you need to find ways to save at least $50 a month. You should put that into a savings account with the highest yield you can find so you will begin earning interest. While $50 a month isn’t much, you’d have $300 after six months, which could help you get through that unexpected automobile repair or some other emergency. Getting caught in the “now” means doing things that feel good now or that would be fun now – such as going to that concert where the tickets are $80 apiece. If you truly want to stay out of debt you need to look to the future and not to the now. If you want something you need to save for it instead of buying it in the “now. One of the things you definitely would need to do is learn the power of coupons. With a little spadework you should be able to find coupons that will save you money on almost everything you eat. I saw one article recently where a woman was able to buy $100 worth of groceries for $20 – thanks to coupons. You should also look for store specials and BOGOs ( buy one, get one). If you get a newspaper, your Wednesday section should be just full of great, money-saving coupons. Barring that, you can go online and find them. You should actually shop with a calculator and then add up each item as you put it into your grocery cart to ensure that you stay on budget. You can save a lot on gasoline and reduce the wear and tear on your car if you group all of your errands and do them on one day per week. Be sure to start out at the point that’s farthest away from your home and then work your way back. For that matter, you might actually be able to walk to the store, which would help you save even more money. Did you know that you could get a debit card that comes with rewards points? There is one card from Chase that pays one dollar for every four dollars you spend. This can be a great way to earn and save even when living on a tight budget. Even if your household income is well above $30,000 a year, you could use these tips to save money and help you stretch your income. Living frugally can even become a challenge or a game where the whole family pitches in with suggestions for cutting costs. If you live alone you could still make it a game where you challenge yourself to cut your costs by a certain percentage. You would then reward yourself every time you met your challenge. This wouldn’t have to be a big reward – it could be something as simple a dinner out or a new computer game.